One of Mums pressies was a little hand decorated trinket box. I got this one from Hobbycraft and it was just a little brown cardboard box. So I painted it and then lined the inside with some sticky back floral card I had. The paper rose is from The Range and the brown tags were from Hobbycraft too. I just glued them in place. 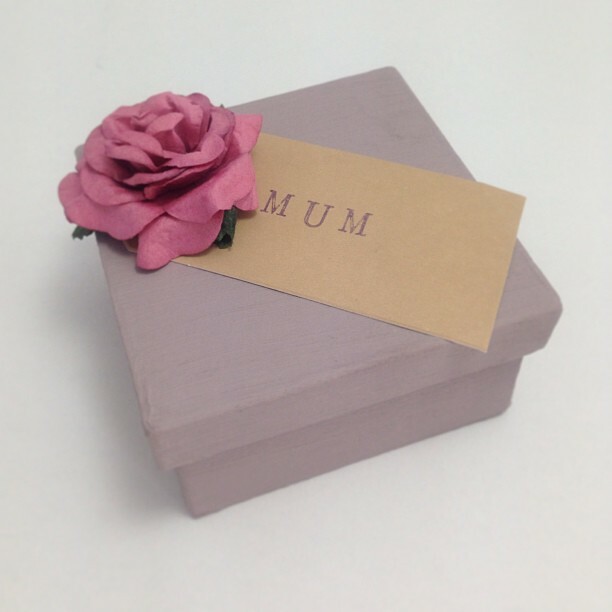 I then used my fab rubber letter stamps to do the 'MUM'. This was really simple, but quite effective and I think it's so so pretty.